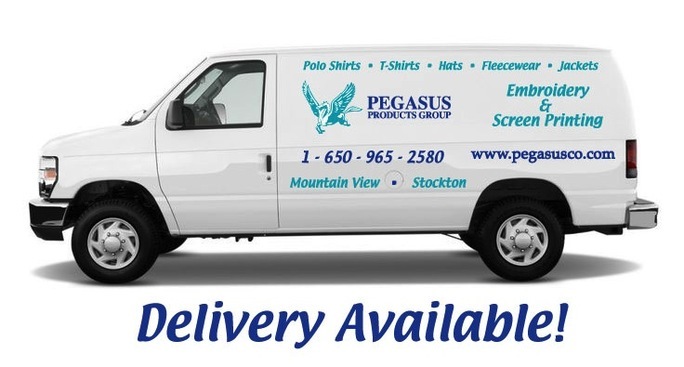 Welcome to Pegasus Products Group! ​We are a full scale screen printing and embroidery company, capable of handling both small and large volumes at competitive prices with excellent turn-around times. We offer a wide variety of apparel ranging from basic to fashion forward t-shirts, sweatshirts, polos, performance wear and outerwear! Additionally we offer specialty items such as mugs, tote bags, hats, water bottles, office gifts, awards and many other novelty items. We pride ourselves on finding you the product you need within your budget and on time! We also employ a graphic artist who can create designs or assist with your art needs. We currently serve corporate accounts, up-and-coming tech companies, many schools, colleges, universities and a variety of organizations in the Silicon Valley and beyond. We strive to provide you with the best experience possible. With our friendly, knowledgeable sales staff and graphic artist we can help you in every way.